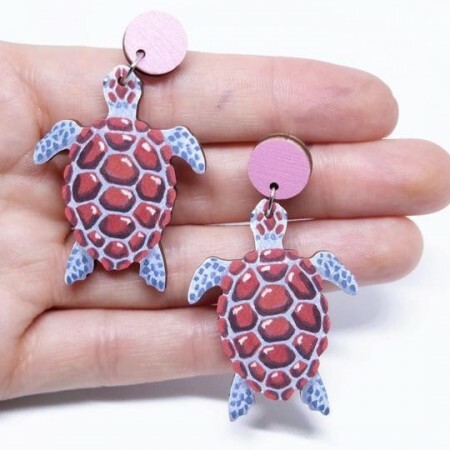 Add a splash of colour to your wardrobe with these beautiful, light weight Turtle earrings! The perfect gift for travellers seeking an Aussie souvenir, or a surprise gift for a friend (or even better... yourself!) 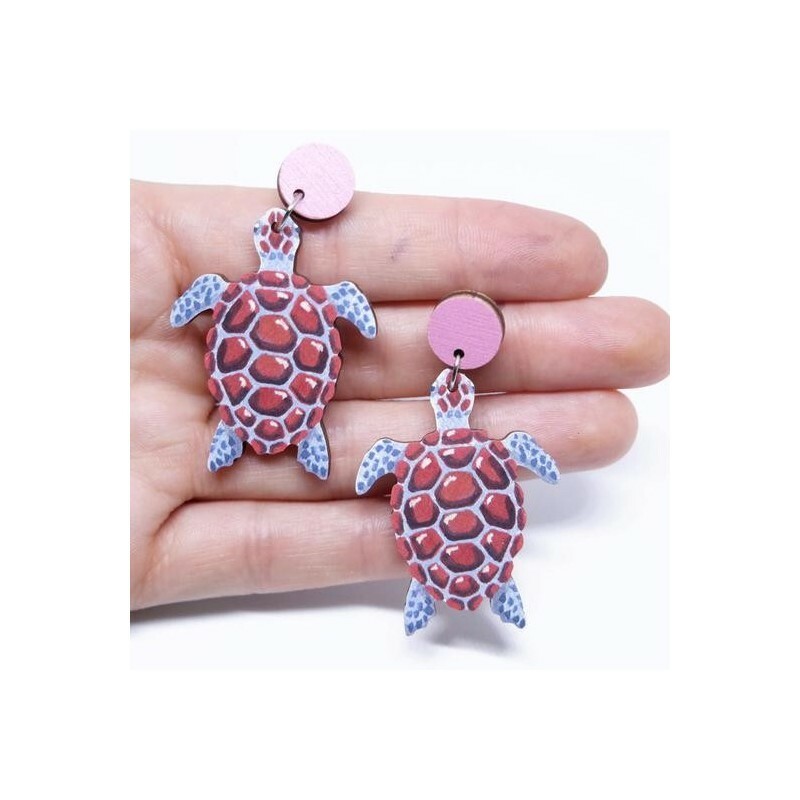 All jewellery charms are printed on 3mm FSC Certified Birch Plywood and laser cut to shape. Earring posts are surgical stainless steel for sensitive ears.